I love learning. I may have mentioned a time or two on this blog that I like taking every opportunity I can get to learn something new. Or strengthen my skills in areas I’m already pursuing. The pictures above are examples of the “learning something new”. I received a free 30 day trial to lynda.com, and I thought “sure, why not?”. I decided to try their Graphic Design learning path, because I was curious. (Yes, I know – I still have a lot to learn). I’m also learning their Content Management path, also because I’m curious. I am truly thankful for the opportunities I have to learn something, just because I’m “curious”. The access to education I’ve had throughout my life has been nearly limitless, and I’ve probably wasted more than half of those opportunities. Why do I say I “wasted” them? Because I didn’t utilize them when they were presented, because I have such an abundance of educational avenues, that I didn’t need those “wasted” hours. Isn’t that a striking statement? I have such an abundance of educational avenues, that I can choose to forego utilizing more than half because I don’t need them. I don’t think I need to tell any of you, but that is not the status quo for most of the world. Or many in my own country (the USA). There are no “abundance of educational avenues” for the majority of the world’s population. For far too many, there aren’t any educational avenues. Now, that sounds bleak and depressing, but it doesn’t have to be. We don’t have to leave this current state of world education where it is. We can do something about it. Will we solve all of the world’s educational problems? Not all at once, but doing it one child at a time will change things. Here’s the thing about education – it’s like a hungry wild fire. It consumes one child’s mind, then an adult’s mind, and another child’s mind, and on and on until the whole wild fire has consumed an entire community. An entire city. And it doesn’t stop there. All we need to do, is be the ones to start the fire. How? What are some practical ways that we can start this wild fire and light up the minds of the world around us? Read to your child. Education begins at home, and reading to your children has proven value that reaches further than you can imagine. Tutor or Mentor in your local library or schools. 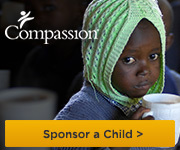 Support organizations like Compassion International, World Vision, International Justice Mission, LivingBread ministries, Not For Sale, and many more. Each one is involved in whole community transformation – through education and holistic means. IJM and Not For Sale focus on human trafficking, but utilize education to transform victims into victors. There are so many ways that we can help start the fire. You don’t have to do all of them. Pick one, start there, and see what ignites from it. What about you? Have you been blessed with an abundance of educational opportunities? How has it impacted your life? What are you going to do to ignite a fire in your community, or beyond, for education?